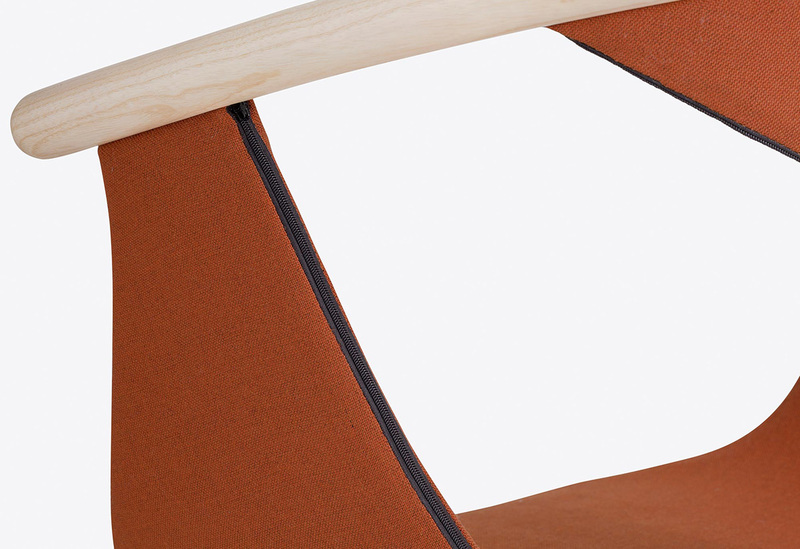 Fox is an elegant collection of armchairs having a distinctive character and contained dimensions. 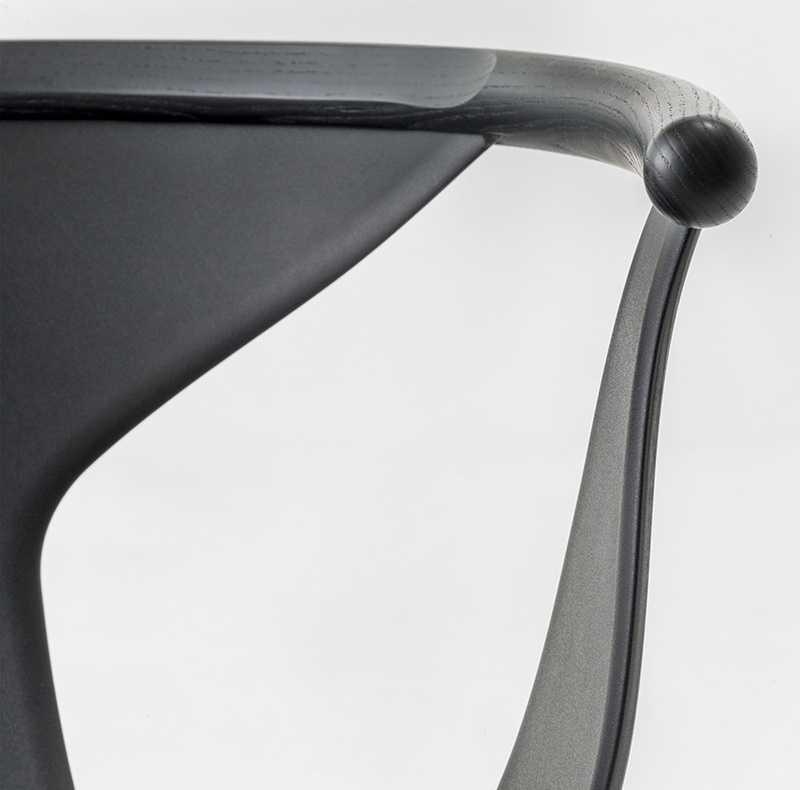 A thin fiber-glass reinforced polypropylene shell is set in the ash wood profile curved and rounded at the ends. 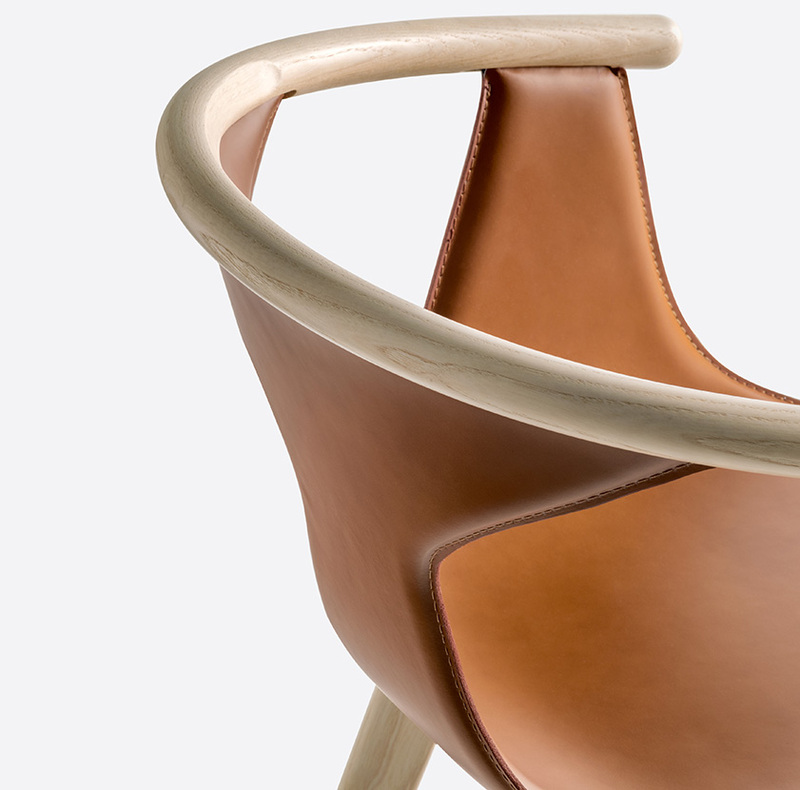 The armchair welcomes the guest with the warm hug of wood. 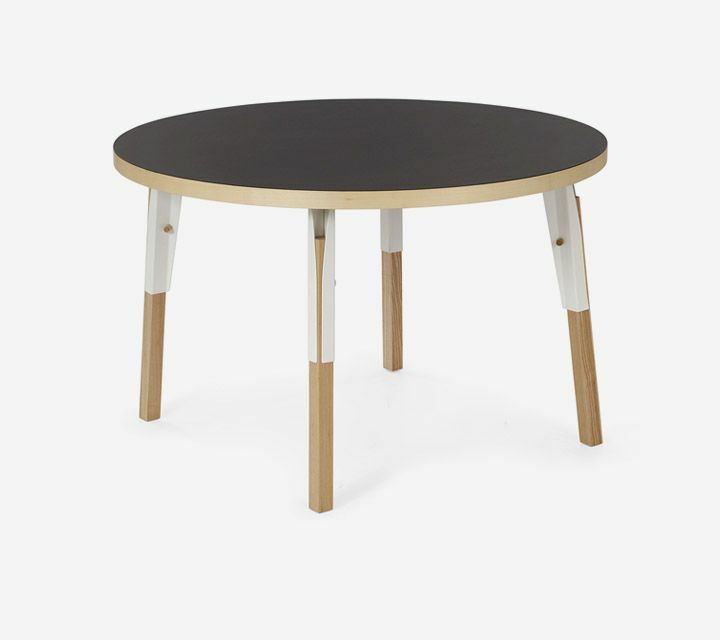 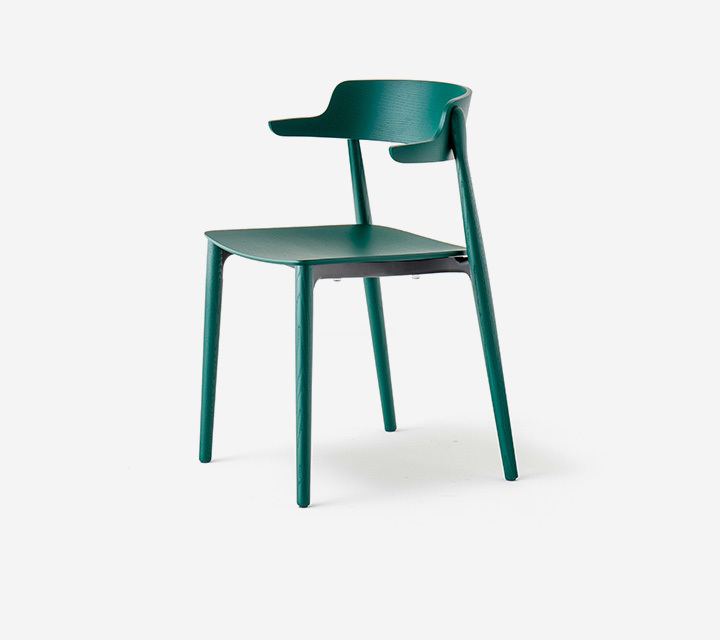 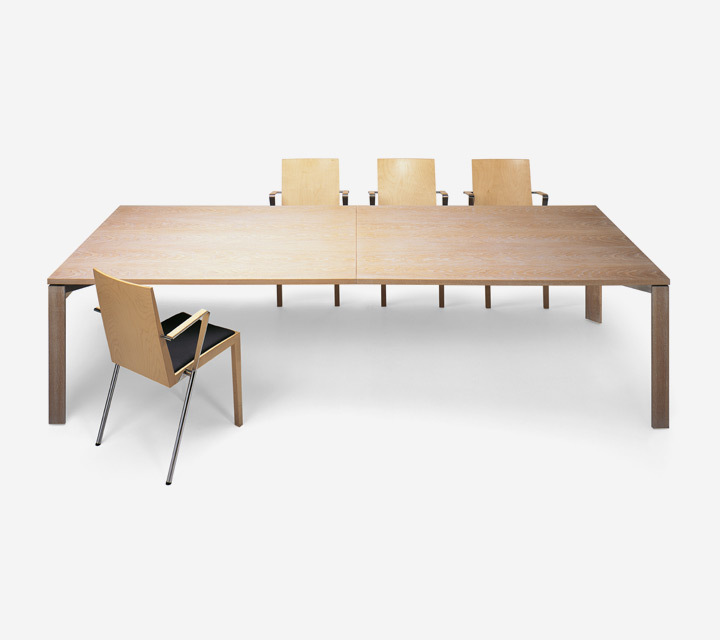 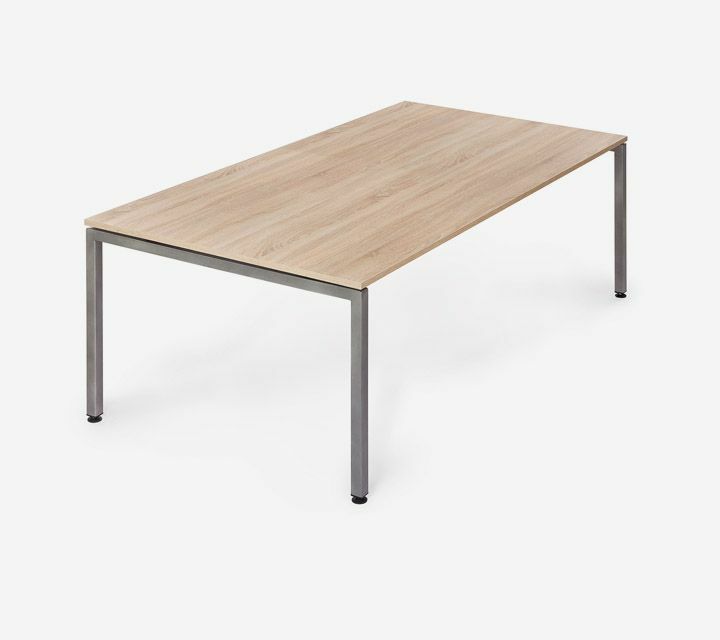 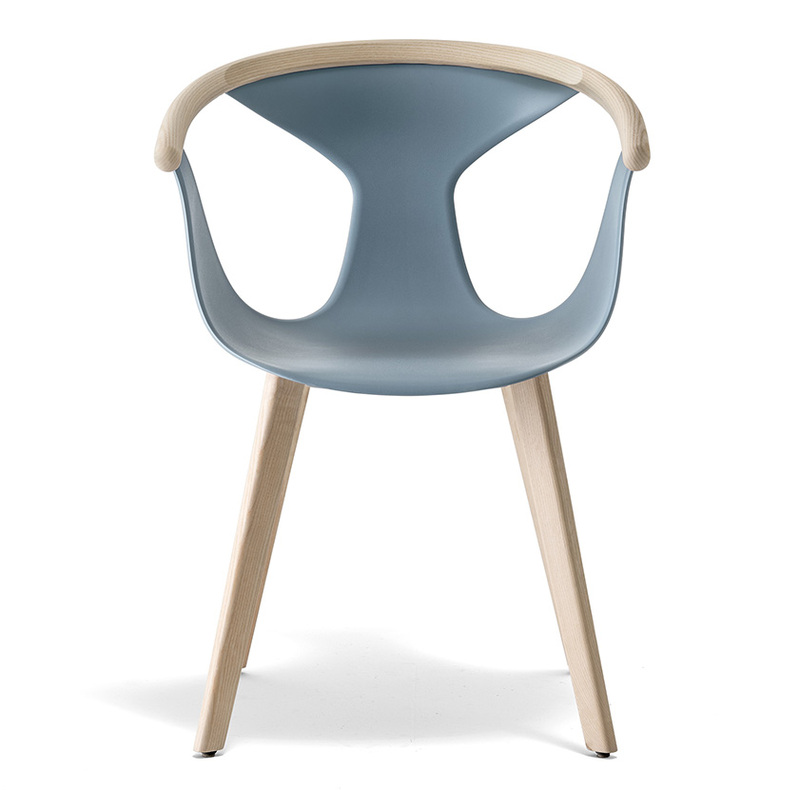 Versatility and functionality of the collection are guaranteed thanks to the multiple colour combinations between the wood and the comfortable shell, matching legs in ash wood of variable section, or in tubular steel Ø14mm. 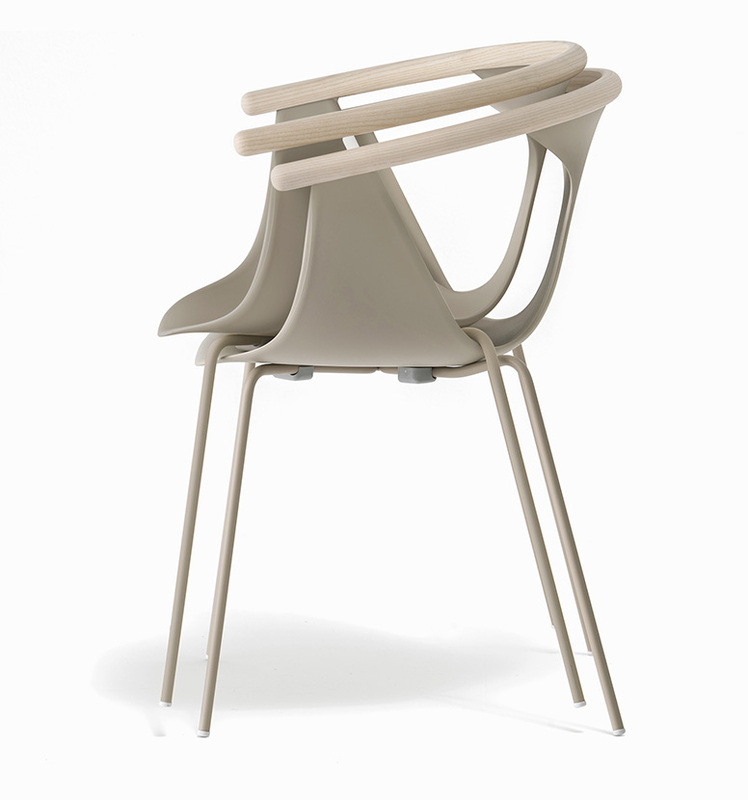 The chairs with steel legs are stackable. 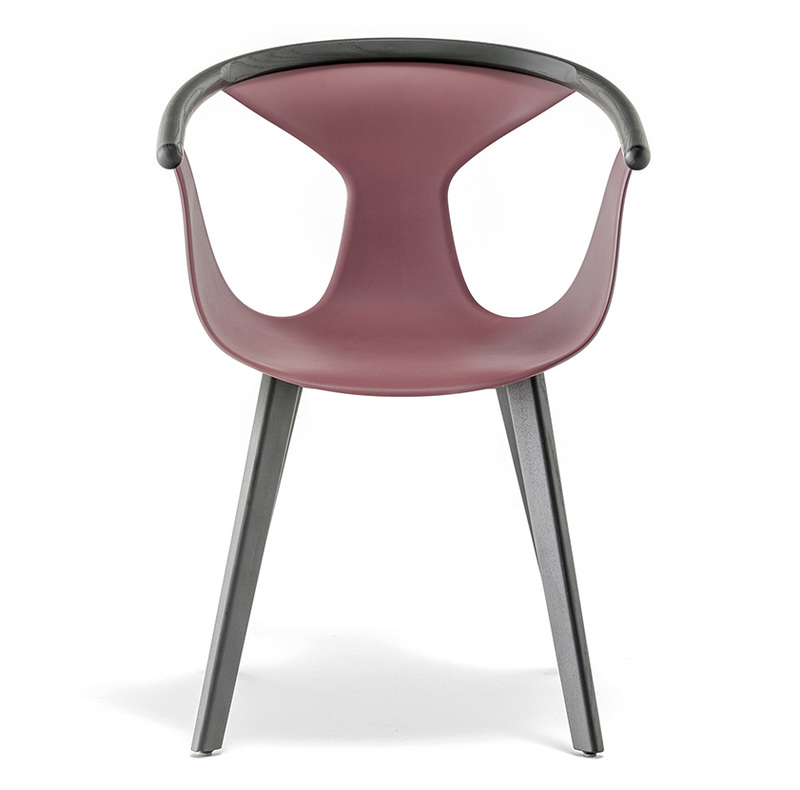 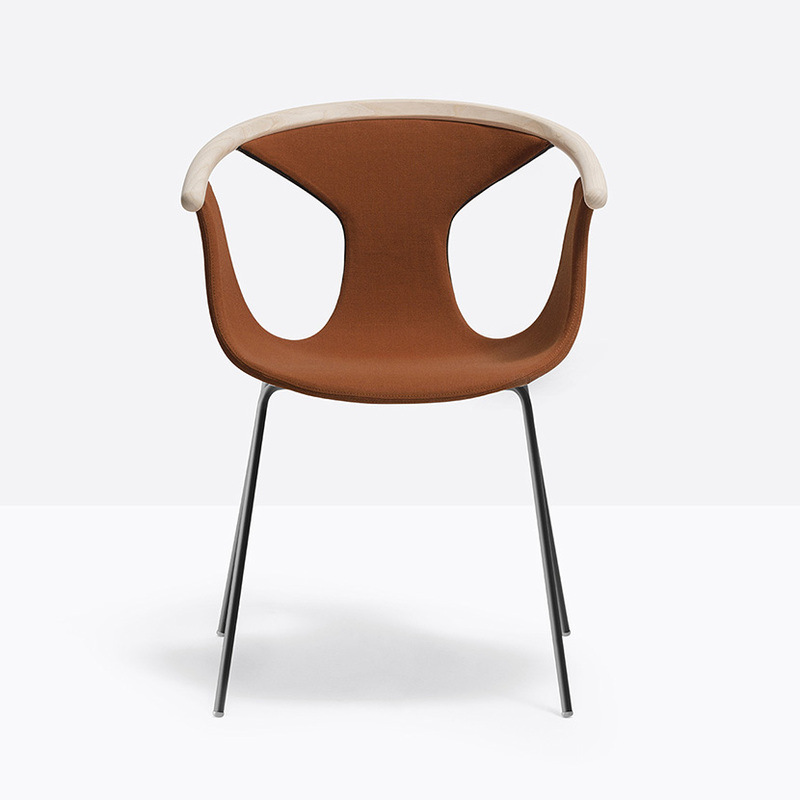 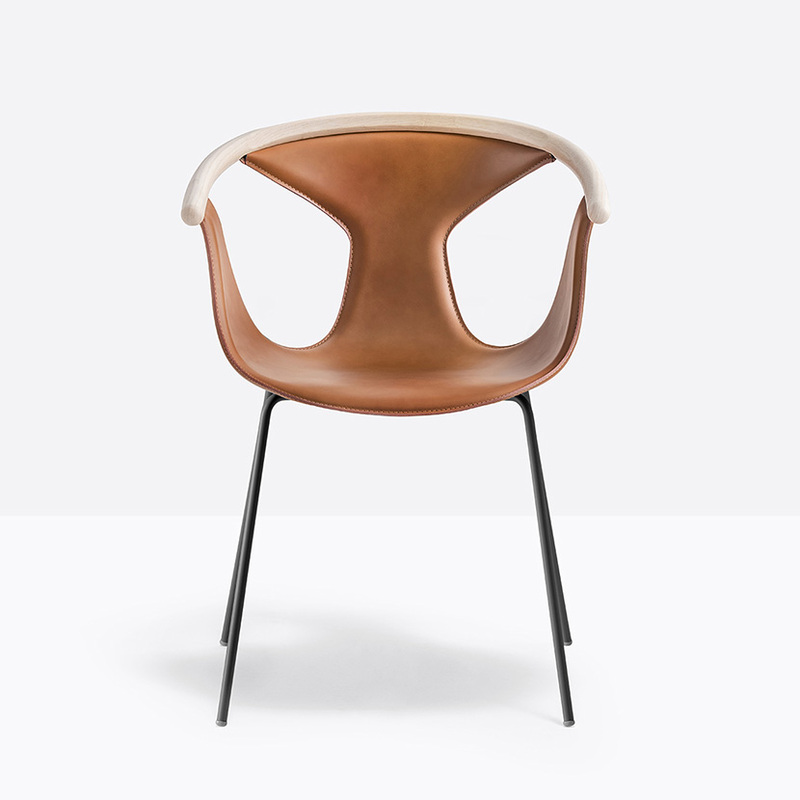 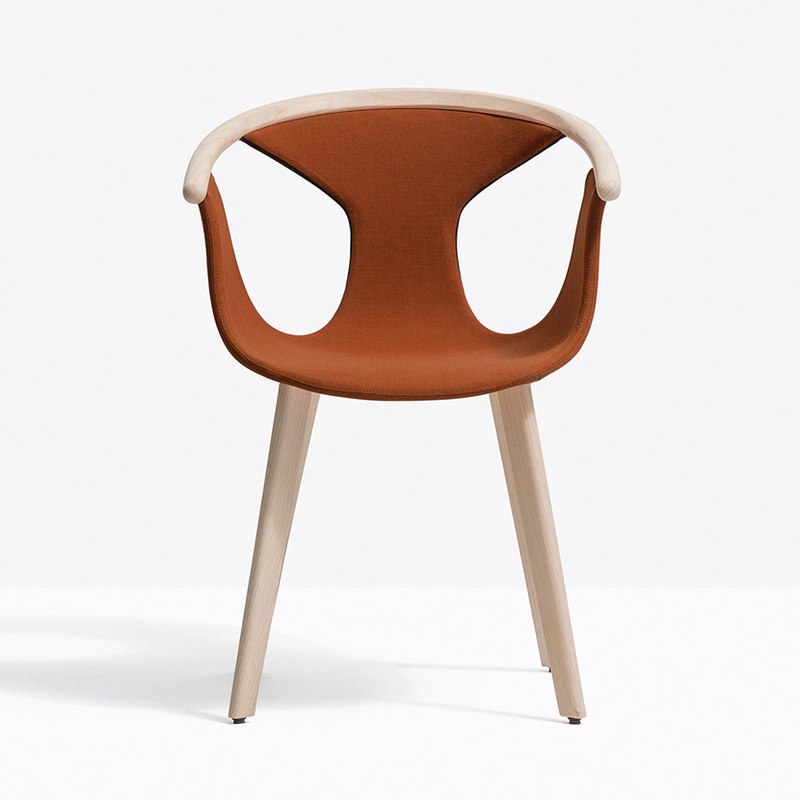 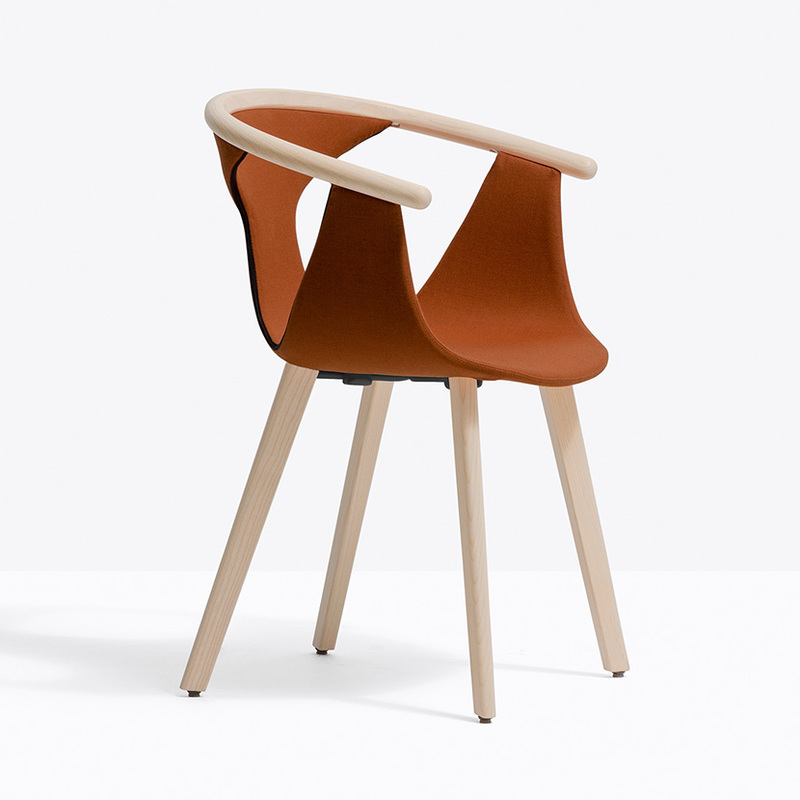 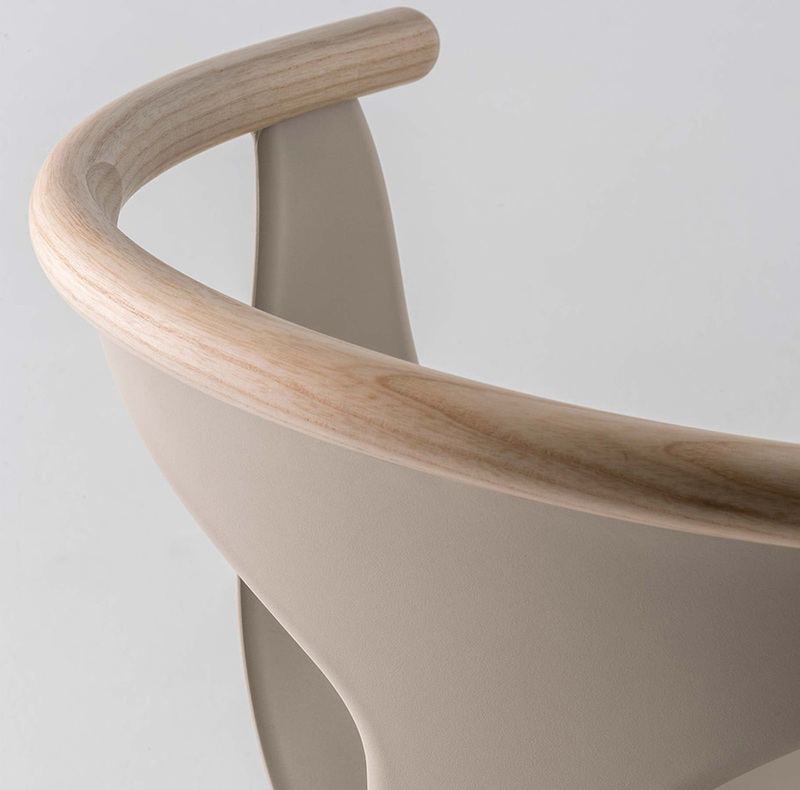 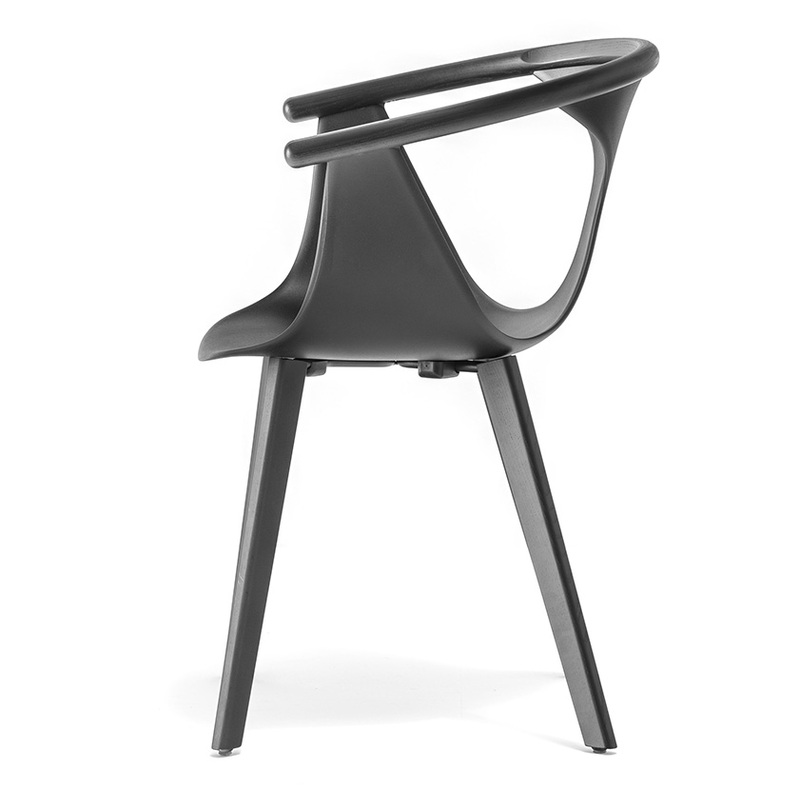 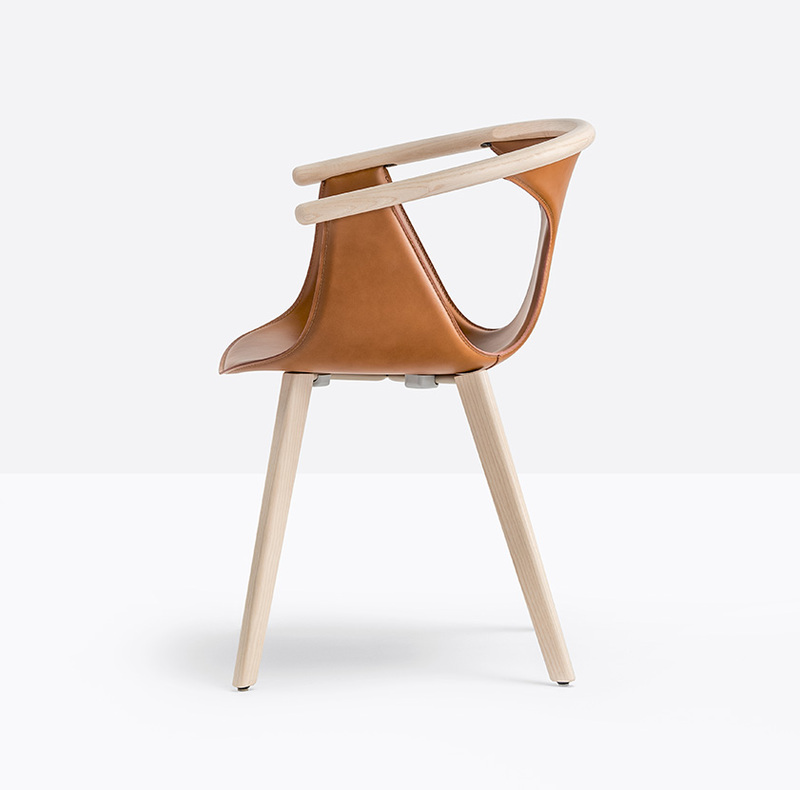 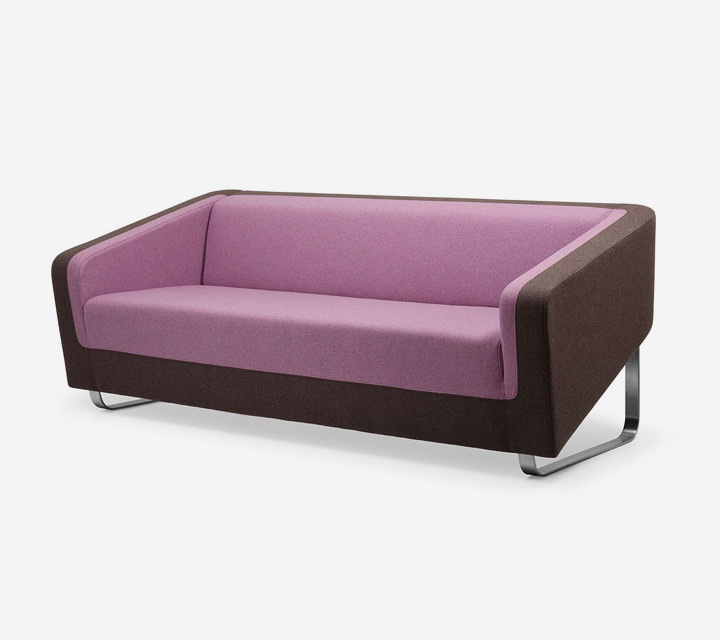 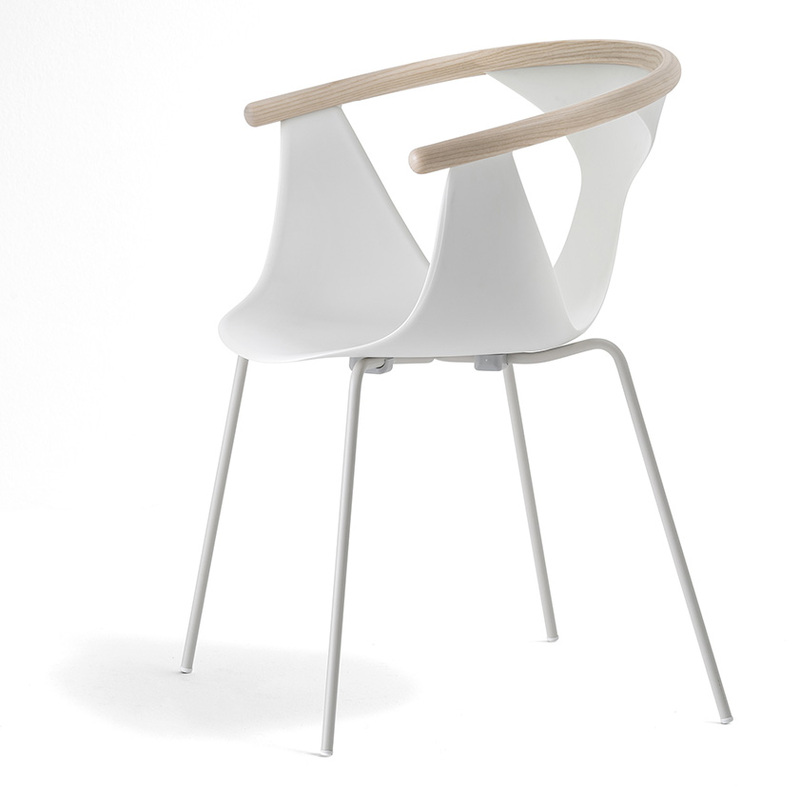 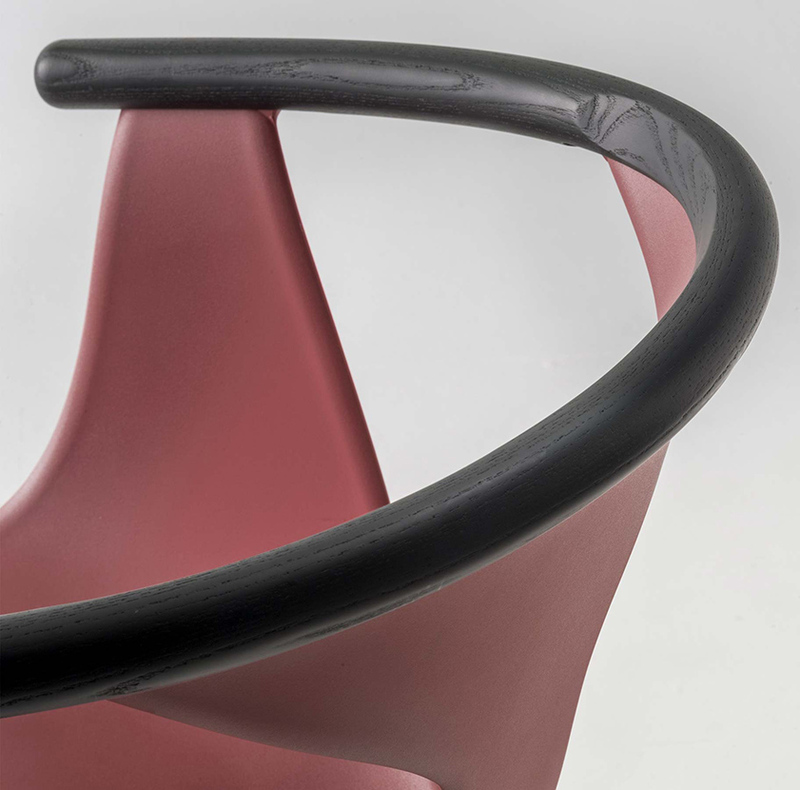 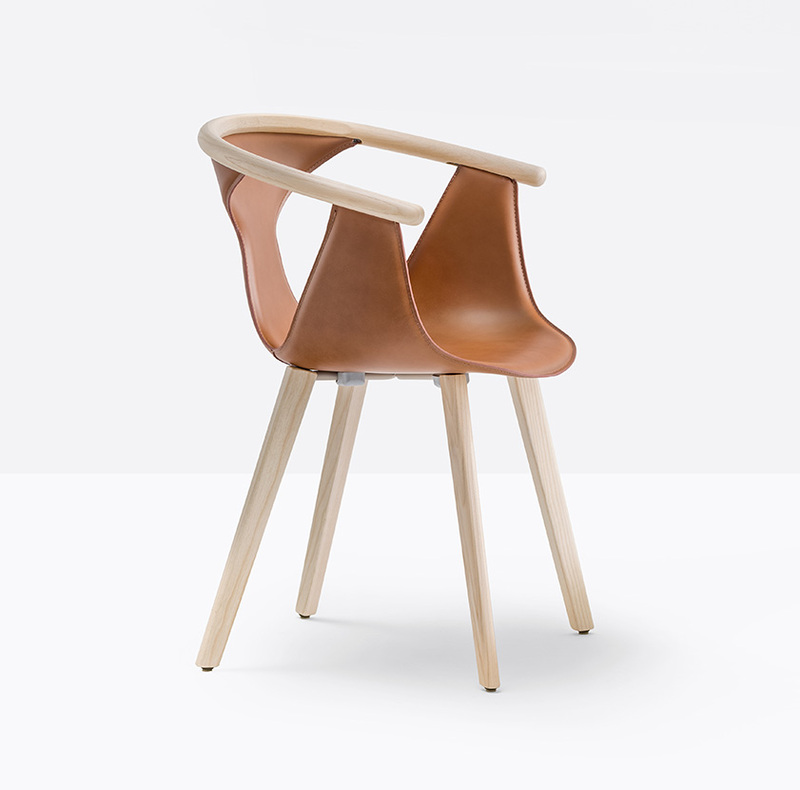 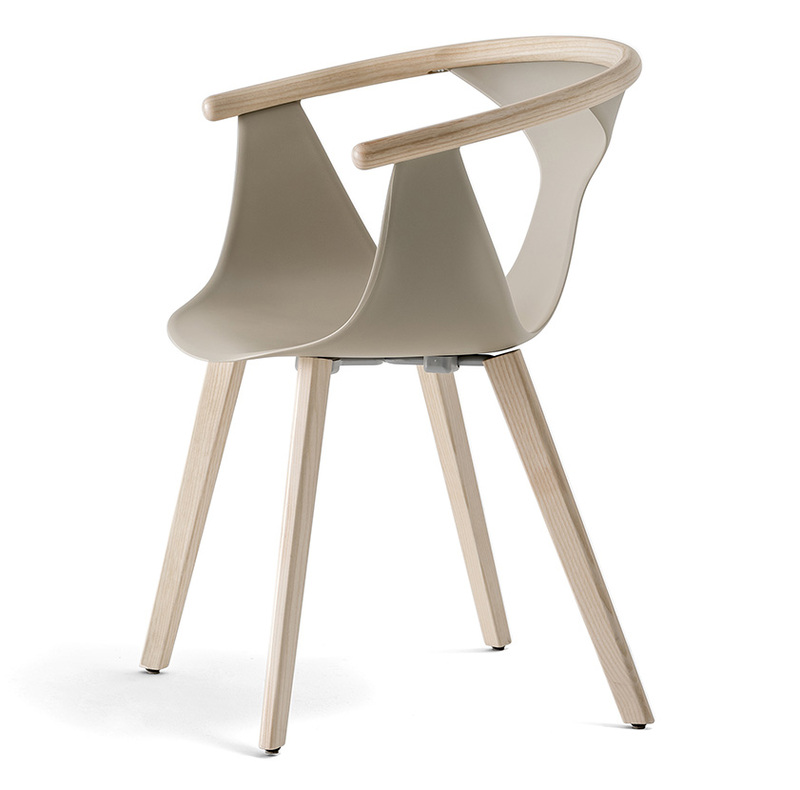 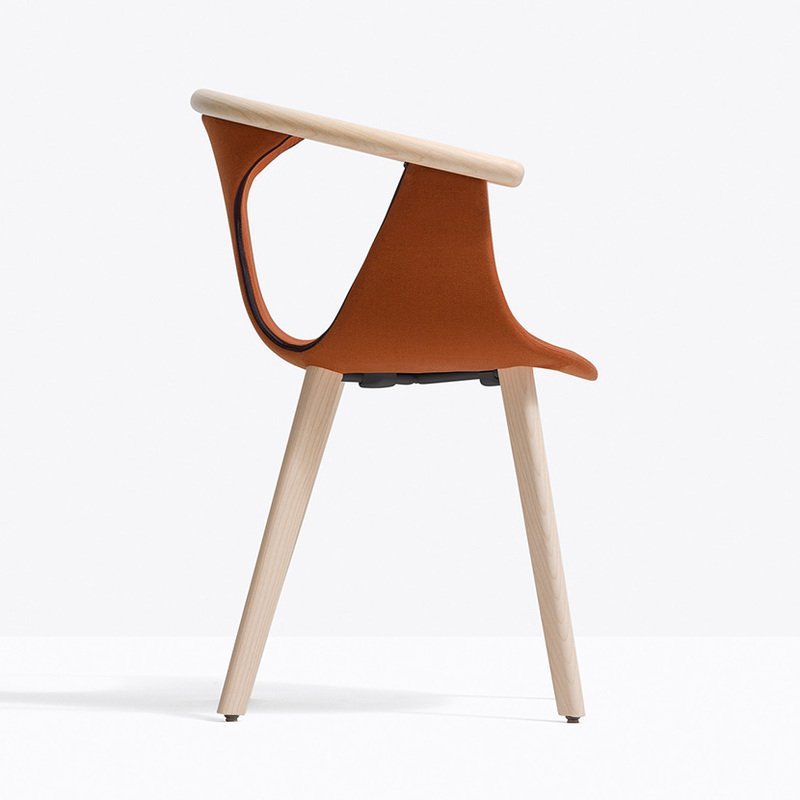 The seat shell can be upholstered with fabrics or natural leather.